Pretty common to meet people walking their dogs outside, not so much cats – but it’s happening. 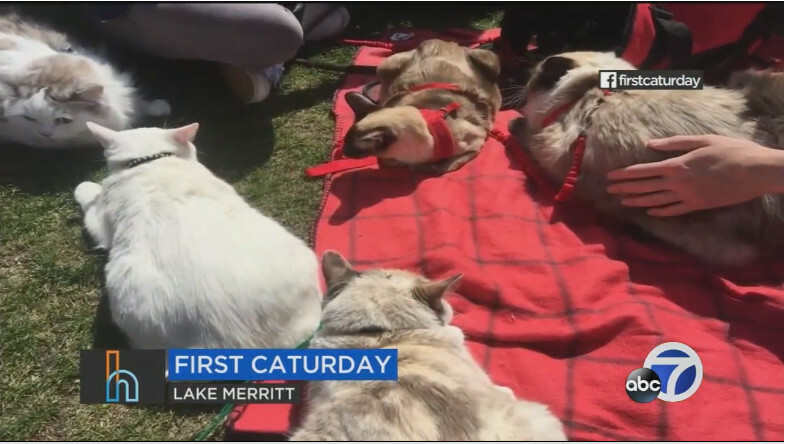 On the First Caturday (the first Saturday of each month for cat lovers) there are regular gatherings at Delores Park in San Francisco and Lake Merritt in Oakland, to socialize and share tips about taking out your indoor cats. Here is Boojie Baker, a 17-pound housecat tabby saved from a Bakersfield kill shelter by Sherry Loewinger. 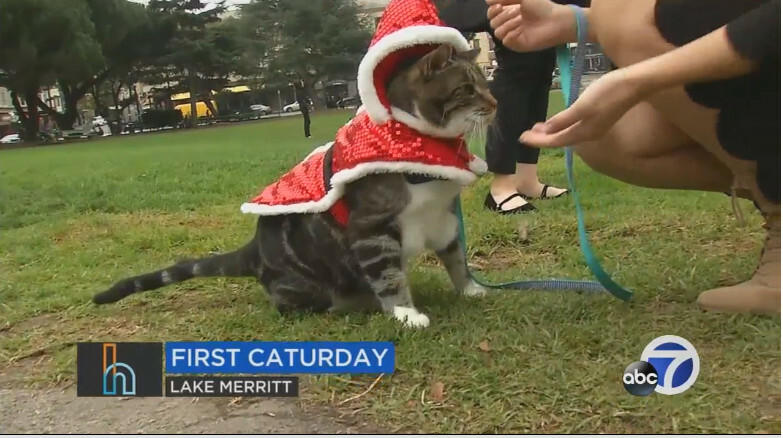 Loewinger started the Oakland chapter of First Caturday; they meet on the corner of Grand and Bellevue at Lake Merritt on Saturday, Juanuary 6th, 1:30pm-4:30pm. 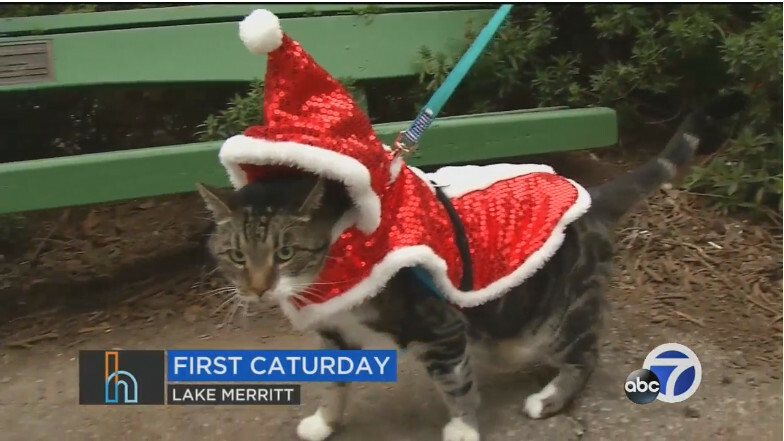 Just bring your cat, leash, costume optional. Got an opinion? Write about it on Me We Too! You can also download the Me We Too app free on Google Play and the App Store. 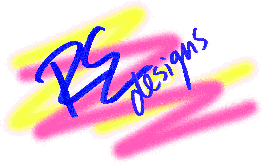 This entry was posted in Story and tagged Boojie Baker, cat lovers, caturday, first caturday, oakland, san francisco, Sherry Loewinger, walk cats. Bookmark the permalink.